Things have been horrible over the last 36 hours, haven’t they? When I write my One + Four posts, I put them together over the course of the week reflecting upon what I’ve done and thinking about what lies ahead. During this week, I was thinking about how our weeks unfold with both the expected happenings but also the unexpected – sometimes happy, sometimes sad, sometimes just ho-hum. For the people of Paris, this week has brought the most desperately tragic unexpected happening. 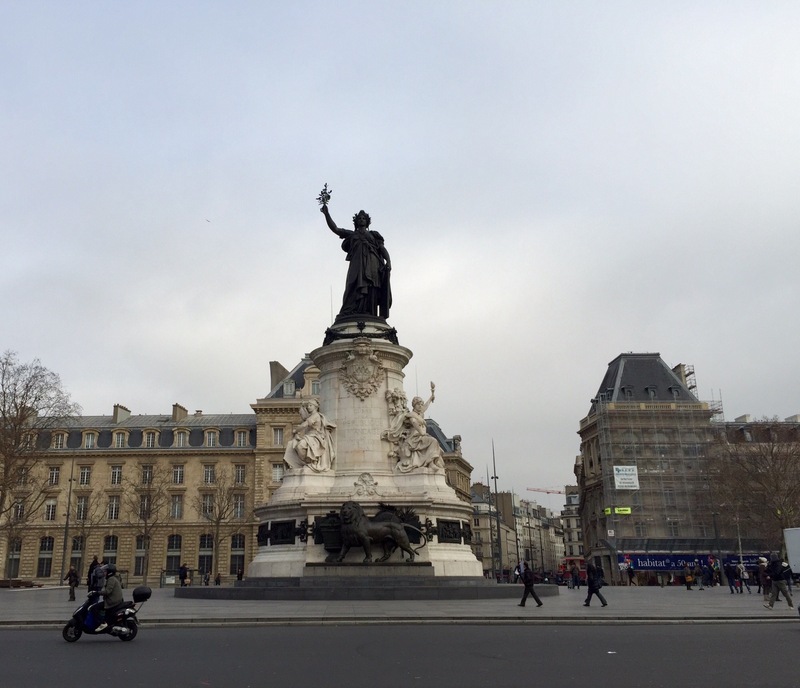 We were in Paris earlier this year when the Charlie Hebdo attack took place. It was shocking, appalling. We did not, however, fear for our safety because we could see ourselves as separate from the victims. We comforted ourselves by reasoning that they were targeted for what they had published. It was not an attack on ordinary Parisians going about their daily business. But Friday night’s actions were. I feel desperately sad for the families whose loved ones have become victims to such incredible hatred and vengeance. Looking at the photos that I had been planning to post, they all seemed just a little insignificant at the moment. I will write a new post that includes them next week. Today, instead, I will post just one from our time in Paris. This was taken the day before the Charlie Hebdo attack at the location that was to become a focal point for the French people in the following days. May the coming week be filled with kindness and peace. < Previous Are you a library lover?